Employee recognition works. But how do you pitch it to your senior managers? Speak their language by talking about the cold, hard numbers. Show them the link between recognition and quantifiable business records. 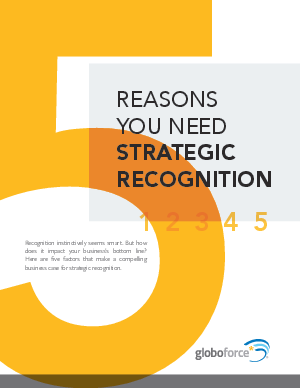 This guide shows five ways strategic recognition impacts the bottom line - supported by industry studies and statistics. Download the guide now and use it to show executives what strategic recognition can do for your company's bottom line.